Lysander Kemp was born on this day in 1920 in Randolph, Vermont. Doing a bit of searching the internet, details on his life are slim: it appears that he served in the US Army, at least through 1942, and attended Harvard University. In 1946, he published a book of poetry titled The Northern Stranger. Eventually, he ended up at the University of Texas in Austin. Lysander Kemp (1920-1992) worked as a writer, professor, translator, and head editor of the University of Texas Press from 1966 to 1975. During this time, he collaborated on numerous translations with Mexican poet and essayist Octavio Paz (1914-1998). Kemp also oversaw the publication of two collections of Paz’s essays and criticism. It appears that he did some work translating poetry, and on the side, wrote four science fiction stories in his mid-30s. 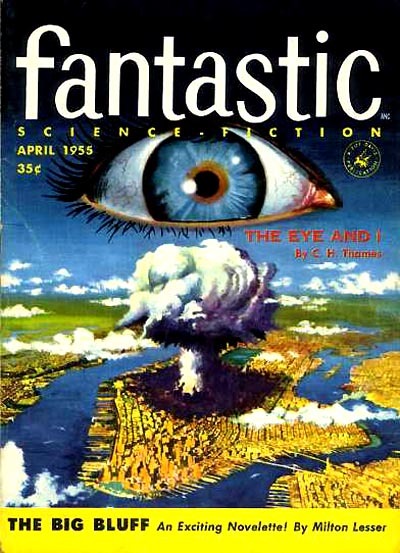 The first, ‘The Airborne Baserunner’, was published in the May 1954 issue of the Magazine of Fantasy and Science Fiction. 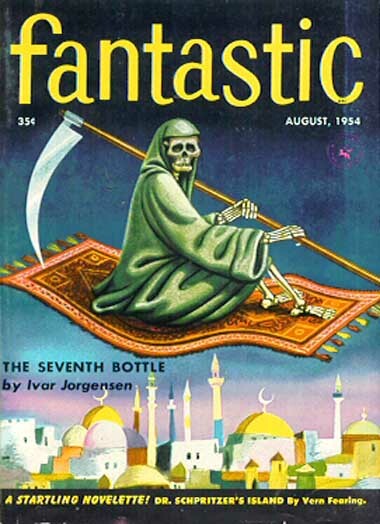 Later that year, ‘Boil One Cat’ appeared in the August issue of Fantastic. 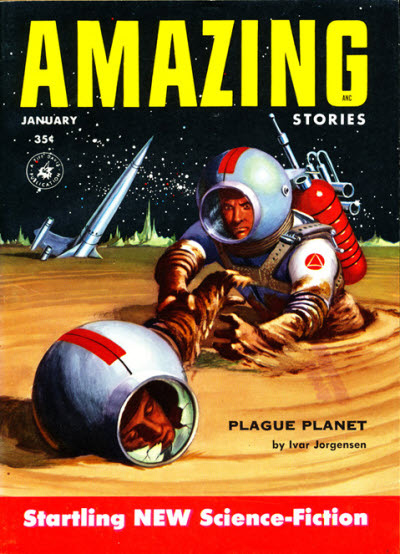 ‘The Universal Solvent’ appeared in Amazing Stories‘ January 1955 issue, and his final story, ‘Silent Night’ appeared in the April 1955 issue of Fantastic. Later in his career, he published tranlations of poetry, which appeared in publications such as the Hudson Review and The New Yorker. It seems as though writing science fiction was a short hobby of his, taken up largely before his academic work. After a long career as a translator, he passed away in 1992. This entry was tagged Lysander Kemp. Bookmark the permalink.